AIA Emerging Professionals: The AIA Center for Emerging Professionals (CEP) is the authoritative voice and resource for architecture students, recent graduates and newly licensed architects. They make an impact for the next generation and prioritize your goals and lead change to strengthen the profession you will inherit. AIA creates leadership and career development opportunities as you transition from school to firms, from firms into their leadership ranks and from professional achievements to community success. They welcome new professionals, alternative career path professionals and anyone with an architecture background or interest in the profession. Alamo Young Government Leaders: Members of Young Government Leaders (YGL) enjoy the opportunity to build lasting relationships with other aspiring government leaders and to brainstorm about potential solutions to the significant challenges the government faces now and in the next century. YGL encourages members to get involved, make a difference, and develop their leadership potential. Concurrently, members are guaranteed to have fun, develop long lasting friendships, and make a real difference in the business of government. YGL offers training and professional development opportunities, networking, mentorship, community service, social events and corporate discounts to our members. Finetunerz: The Finetunerz are young professional group associated with Musical Bridges Around the World (MBAW). MBAW is a non-profit performing arts organization with the mission to unite, educate and inspire through culturally diverse performing and visual arts programming. First Edition Society: The First Edition Society is a group of young San Antonians that support the mission of the San Antonio Public Library Foundation. The members’ mission is to engage and cultivate the next generation of young leaders by hosting great events that raise both money for and awareness of our library system. Ghost Light Society: The Ghost Light Society membership is designed to encourage a new generation of San Antonio residents to support The Tobin Center and to lead the community of young professionals in appreciating and cultivating the performing arts. The Ghost Light Society aims to bring together young professionals and create a community of passionate and engaged individuals with a shared interest in supporting the arts. As an extension of the Tobin Center Membership Program, the Ghost Light Society offers exciting programming relevant to Young Professionals in the San Antonio community while also supporting the Tobin Center education and programming mission. Leadership Organization of Professionals (LOOP): This group is very active and is a leader in events and happenings in downtown San Antonio. They also have an ambassador program for those new to San Antonio. Loopsters are community advocates who serve as city ambassadors for young professionals considering moving to San Antonio and businesses looking to relocate here. LOOP works with local companies who want to attract new talent and build a more diversified workforce. As urban enthusiasts, leaders and future leaders, motivators and innovators LOOP is dedicated to improving and building our local community. 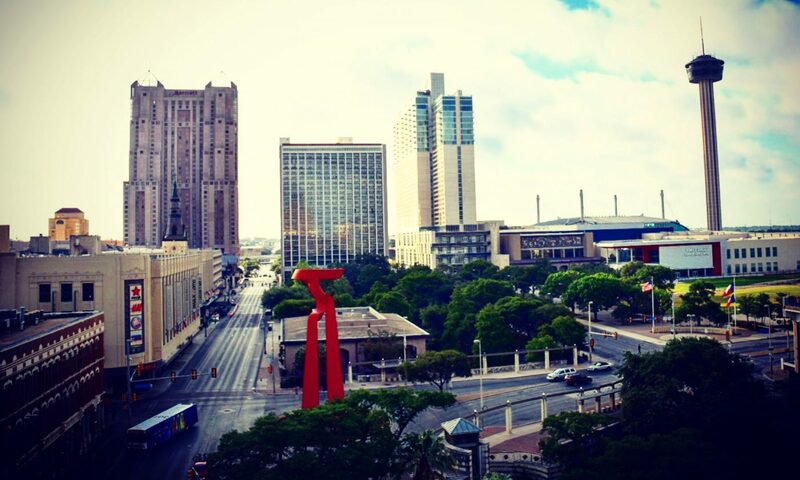 LOOP has the knowledge and resources to distinguish San Antonio as the premier location and a desirable place for young professionals to live, work or start a business. New Leaders Council: New Leaders Council (NLC) is a nonpartisan, nonprofit organization that engages a diverse, collaborative national network of progressive political entrepreneurs. NLC is building a growing corps of new progressive leaders who will rise to the top of their fields and work together across sectors to build, expand, and improve the progressive infrastructure necessary for strong democracy, social justice, and equal opportunity. NLC’s flagship program is the Institute, a rigorous 5-month training program that focuses on entrepreneurship, advocacy, organizing, and fundraising. NLC seeks out the top-tier of emerging progressive leaders from around the country for the Institute, building a community of vetted, trained progressive leaders with the skills and support system to help to change the way politics is done and foster a more equitable, just America. This organization also boasts a Fellowship outside of work for young professionals looking to become more engaged in San Antonio. Rotary Under 40: Each year 25 leaders, under 40, are invited to join Rotary as part of a class structure. These young professionals will participate in service projects, socialize and learn about the power of Rotary with their peers. Class members also have the opportunity to “buddy” with an existing Rotarian, an established business or community leader, to learn about Rotary and make business contacts. San Antonio Museum of Art Young Friends: This group is art and culture in a social setting for the next generation of arts supporters in San Antonio. This vibrant group, ages 21 and over, is passionate about the Museum’s collections and mission. As a Young Friend you’ll gain access to exclusive gallery tours, cocktail parties, events at local art institutions and more! San Antonio Young Lawyers Association: The San Antonio Young Lawyers Association, better known as SAYLA, was formed in 1948 (unofficially) and 1950 (officially) as the San Antonio Junior Bar Association, an entity of the San Antonio Bar Association. In 1974, the members of the Junior Bar officially formed the corporate structure that is now SAYLA. SAYLA continues the great traditions formed by the Junior Bar by providing opportunities and avenues for young and newly licensed attorneys to network with other attorneys and non-attorneys, socialize, learn and earn CLE credits, give back to the community, and enjoy their chosen profession. San Antonio Young Professionals: San Antonio Young Professionals is a free city-wide organization for people between the ages of 21 and 40. We actively engage the community and are working hard to make San Antonio a better place for young professionals. Texas Young Professionals: TYP San Antonio holds monthly networking socials or happy hours. Our social events are designed to build a sense of belonging to a community, as well as being part of something with a high-minded purpose. TYP has made every effort to create a safe, engaging environment based on goodwill and meaningful conversation. As they foster an environment where business relationships and friendships can be nurtured, TYP hopes to see new business partnerships launched. Urban Management Association of South Texas (UMAST): For over three decades, UMAST has forged a bond of public servants and exists today as an organization re-dedicated to improving the lives of our communities through professional excellence. The membership shares a common commitment to community enhancement through diversity and integrity. Witte Society: The Witte Society is a vibrant membership group that promotes and supports the Witte Museum through special events and projects. The Witte Society meets three to four times a year for fun events, such as cocktail receptions, family picnics, and luncheons. You will receive all the benefits of being a member of the Witte Museum and exclusive benefits such as discount reservations to the Witte Game Dinner. World Affairs Council: The World Affairs Council of San Antonio is a not-for-profit and non-partisan citizen’s educational forum focusing on foreign policy issues that affect our lives directly. They are a member of the World Affairs Councils of America and strive to promote public understanding of world affairs and United States foreign policy and to enhance the ability of its citizens and future leaders to participate in a global community. They accomplish their mission by presenting lectures, organizing discussion groups, sponsoring educational outreach programs, and hosting deliberative sessions for young professionals. Young Leaders Group: The Young Leaders group consists of ULI members under the age of 35 who want to be actively involved in shaping the built environment and the future of real estate in the region. The YLG brings together younger members to strengthen their relationship and participation within the organization, provide opportunities for professional growth and mentorship and offer networking opportunities with senior members. Young Texans against Cancer: Young Texans Against Cancer (YTAC) is an independent, nonprofit organization composed of young men and women who have been affected by cancer and are seeking to become more actively involved in the cancer community. The organization is focused on raising funds for local research and support organizations, using our member base to increase awareness of volunteer organizations and helping to educate our community on cancer research. Young Professionals in Energy: Young Professionals in Energy (YPE) is a non-profit organization with more than 1,400 members in its San Antonio Chapter. YPE aims to facilitate the advancement of young professionals in the San Antonio and global energy industry by providing a forum for networking and career development through social, educational and civic service opportunities. Zoomers: Zoomers is a 21+, young professionals’ membership organization of the San Antonio Zoo dedicated to expanding conservation and awareness of the zoo and its mission. Zoomers offer an intimate view of the zoo through exciting events and private access to its programs, to inspire a new generation of zoo supporters.